Who doesn’t want to treat their Dad or their special guy from time to time? When my Dad was alive, we would make him a special treat on Father’s Day to let him know he was special to us. Some of our creations were better than others… LOL. He would never give it away if our concoctions were less than desirable and we loved him for it. My dad loved sweets. He would have been in heaven if I had presented him with these baked homemade donuts, especially when coated with chocolate. 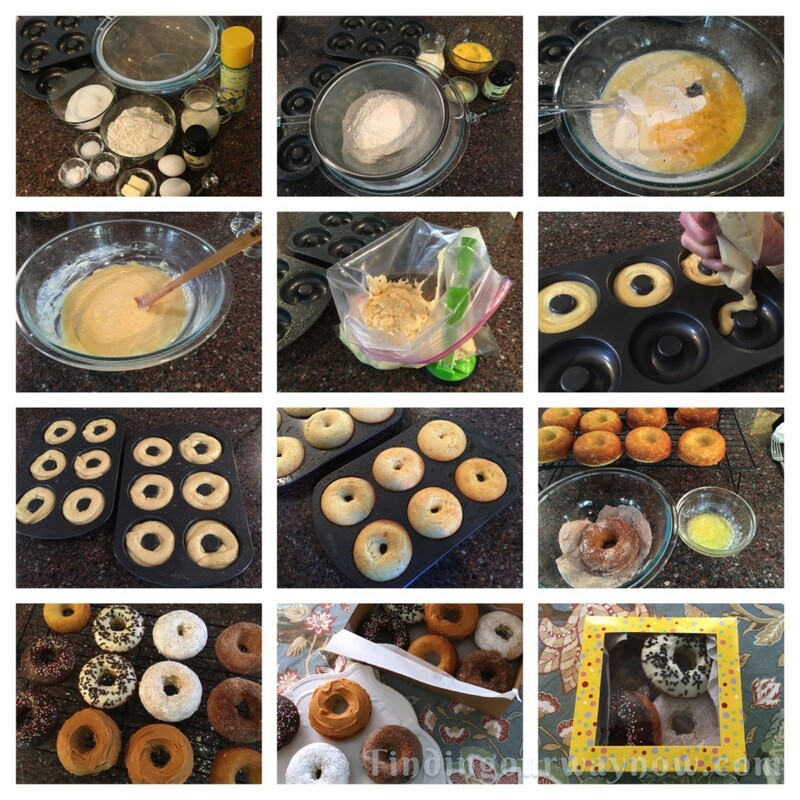 With him in mind, I pulled out my simplest donut recipe and decided to share it with you and some donuts with my neighbors. When they’re as easy as these are to make, you will never go wrong when you present these to anyone for any reason. I’m sure you can imagine the response I got when I stopped by my neighbors with a box of these treats in hand. Preheat oven to 425°F. Spray two regular size donut pan wells with oil and set aside. Combine the flour, sugar, baking powder, baking soda and salt into a sifter. Sift the dry ingredients into a large mixing bowl. Add the buttermilk, eggs, vanilla paste and butter; stir until just combined. Do not over mix. Scoop the batter into a large Ziploc bag, cut off the corner of the bag about ½ to ¾ inch. Pipe the batter into the donut wells, filling each well to approximately ⅔ full. Make sure the batter is dispersed evenly around the center and edges of each well. Bake 6-8 minutes. Check for doneness by inserting a toothpick into one of the donuts. If it comes out clean, or the top of the donuts spring back when pressed lightly, they’re done. Cool in the pan 2 to 3 minutes; remove the donuts from the pan and place on a cooling rack. Coat and decorate or serve plain. Variations: Note – there are a million ways to flavor these donuts. These are just a few suggestions. Cinnamon: Omit vanilla paste and replace with 1 teaspoon cinnamon and ¼ teaspoon nutmeg. Lemon: Omit vanilla paste and replace with 1 teaspoon lemon extract & 1 teaspoon lemon zest. Orange: Omit vanilla paste and replace with 1 teaspoon orange juice concentrate & 1 teaspoon orange zest. Almond: Omit vanilla paste and replace with 1½ teaspoon almond extract. Coating Suggestions: Note – As it is with the flavorings, there are many ways to decorate these guys; these are just a few suggestions. Cinnamon: Melt 4 to 6 tablespoons of butter in a small saucepan. Combine 1-cup sugar and 4 to 5 tablespoons cinnamon in a small bowl. Dip each donut in the butter on both sides and then toss in and sprinkle it with cinnamon sugar. If needed, pat the surface of the donut to help the cinnamon adhere. Chocolate: Melt semi-sweet, milk or white melting chocolate in a small saucepan. Dip one side of the donut in the melted chocolate and place coated side up on a rack to dry. Colored Chocolate: Melt white melting chocolate in a small saucepan, add a drop or two of food coloring (color of your choice). Stir until blended. Dip one side of the donut in the colored chocolate and place coated side up on a rack to dry. Butterscotch: Melt butterscotch chips in a small saucepan add a bit of oil to thin it. Ice one side of the donut and place iced side up on a rack to dry. Powdered Sugar: When the donuts are still warm out of the oven, put 1 cup powdered sugared in a small bowl. Roll the warm donuts in the powdered sugar, sprinkle and pat the surface of the donut to help it adhere. Do this a few times until they are well coated. 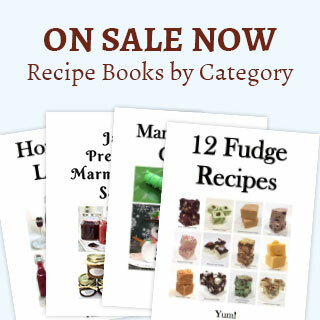 Decorations & Extras: Note – there are many others; these are just a few suggestions. Sprinkles – Add sprinkles of your choice to the wet chocolate coated donuts. The choice is yours, so have some fun. Shredded Coconut – Sprinkle on top of the wet coating of the donut. Chopped Nuts – Use any chopped nut of your choice. Sprinkle on top of the wet coating of the donut. 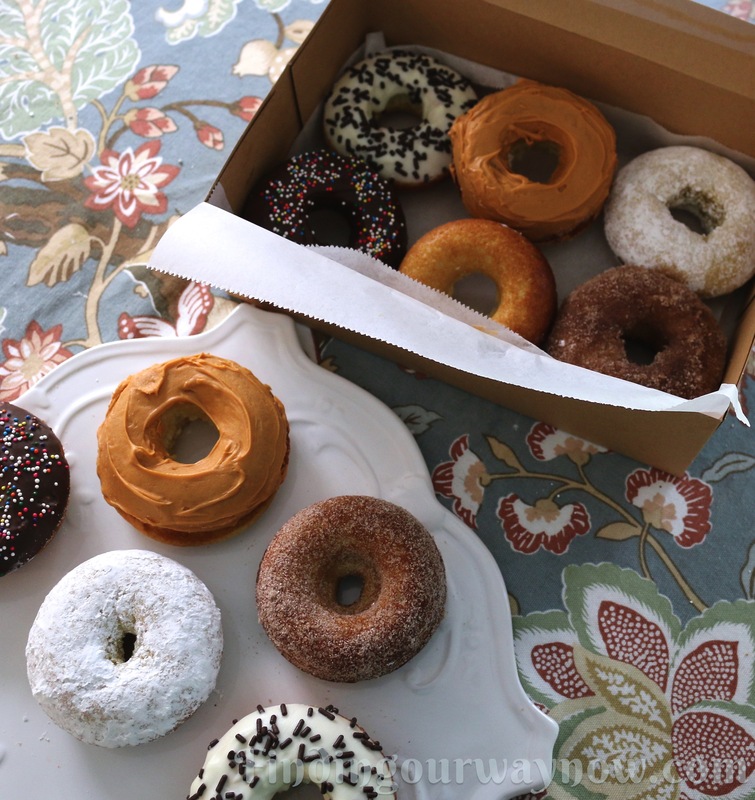 Beverage Suggestions: You can never go wrong with a good cup of coffee with these homemade donuts. Depending on the time of day, another good choice would be Original Irish Coffee, or maybe Irish Coffee with Honey. Notes: These Homemade Donuts are easy to over-bake so start checking for doneness at 6 minutes. Add time as needed. The tops may look too light in color, but they will be done nonetheless. If you choose to use regular buttermilk, that’s fine. I prefer the dried buttermilk because it’s easy to keep in my pantry and available whenever I need it. You may use a piping bag with a ½ or ¾ inch tip if you wish. 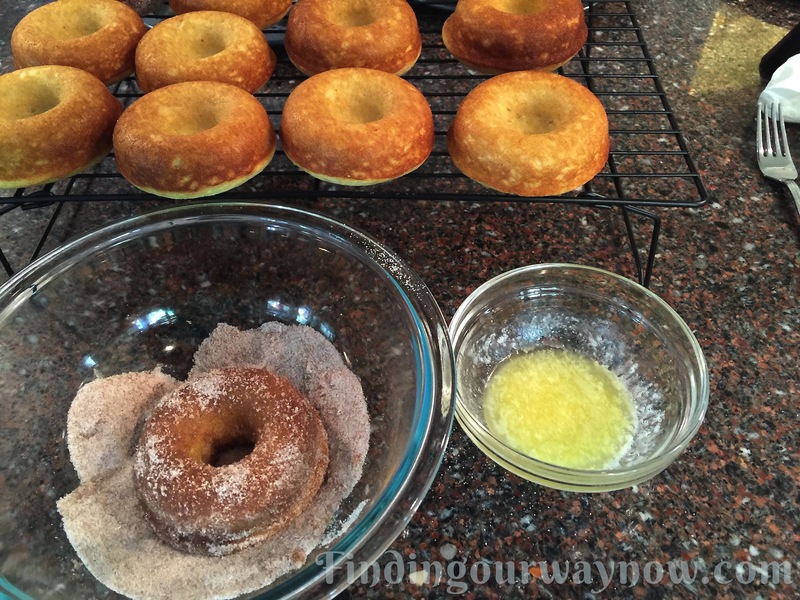 Both work well when piping the batter into the donut pan. If for some reason you put more batter than you should and a few of the donuts holes are partially filled in, not to worry. Just take a small sharp paring knife and cut around that area and remove the excess. I only use a Canola Oil Spray. I tried other ways of coating; they simply don’t work as well so don’t go there. I do love boxing these up for a special treat for someone who has gone out of their way to do something nice. Sometimes I’ll make them just for fun or to lift someone’s spirits. 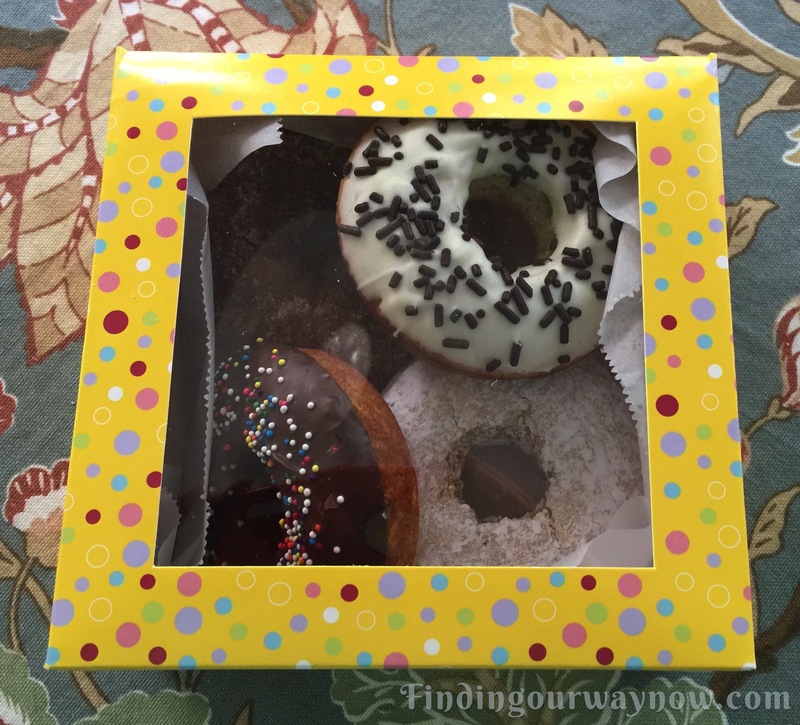 All you need is a donut or cupcake box lined with wax paper, and you’re good to go. 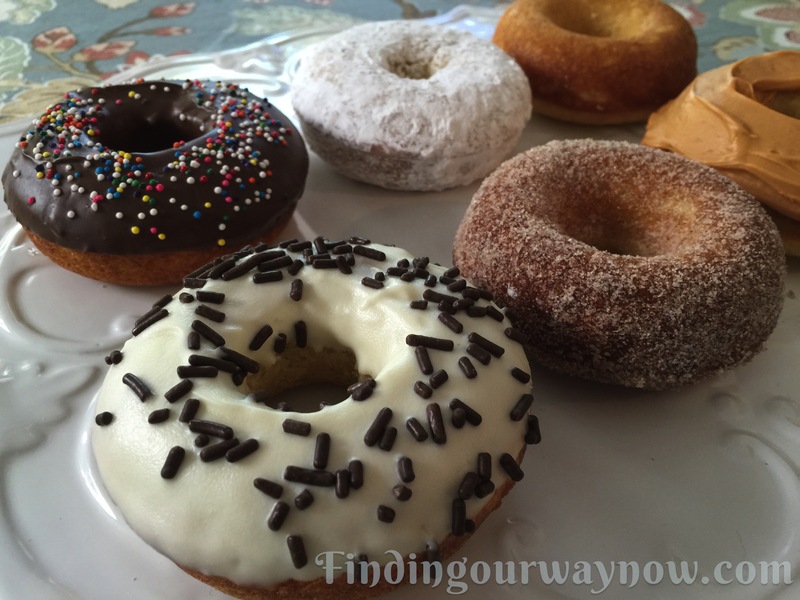 Regardless of when or why I make these homemade donuts, they never go out of style. They are always well received when they wind up at my friend’s door or on our breakfast table. Enjoy. If you enjoyed my “Homemade Donuts for Dad,” check out my Fruit & Nut Scones, Homemade Buttermilk Pancakes, and my awesome Homemade Belgian Waffles. Enjoy.